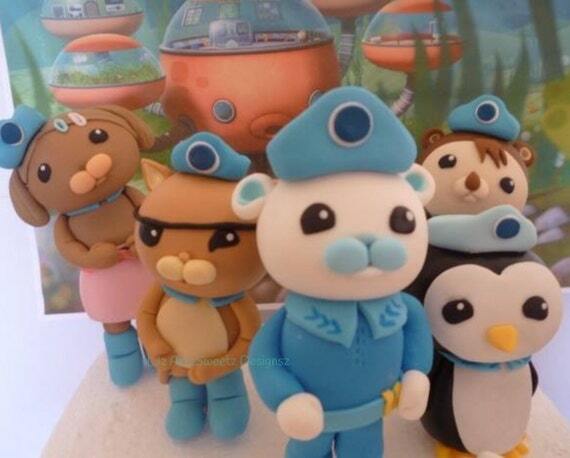 Octonauts Fondant Cake Toppers. 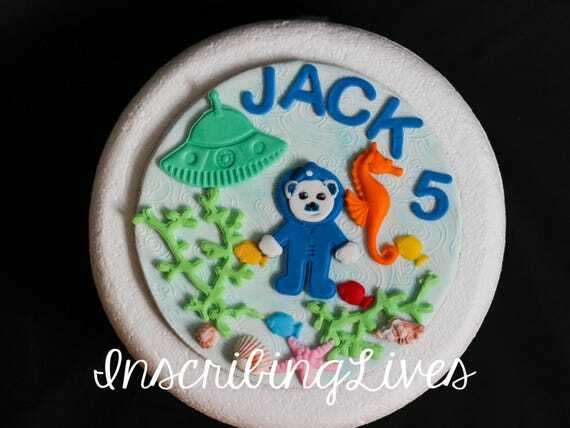 This listing is for the five characters shown. 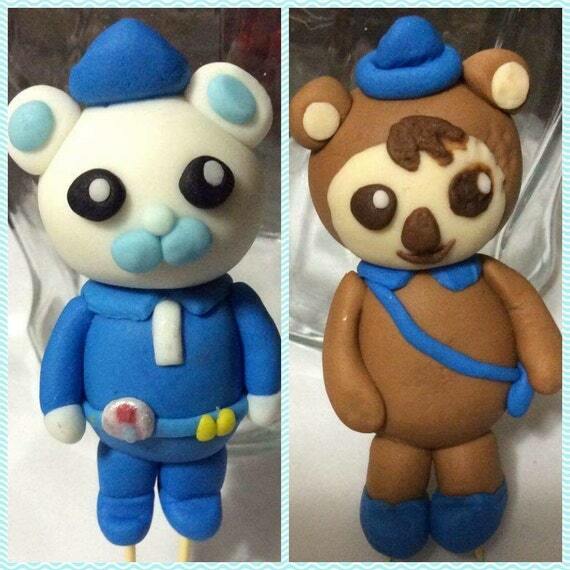 I make fondant cake toppers for all occasions, inbox me for a quote 🙂 This listing is for an Octonauts fondant cake toppers=set that includes Captain Barnacles (about 4 inches tall) , Kwazii (about 3 1/2 inches tall) and Peso (about 2 1/2 inches tall) a doctor bag for Peso, Turnip, a name plaque with number and a sea life set of 32 pieces! 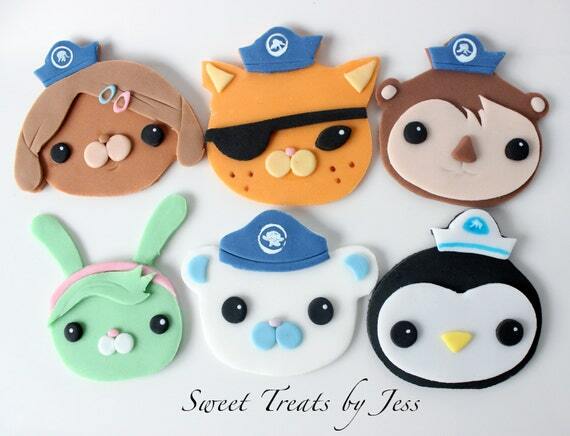 Set of 12 custom made fondant cupcake toppers. 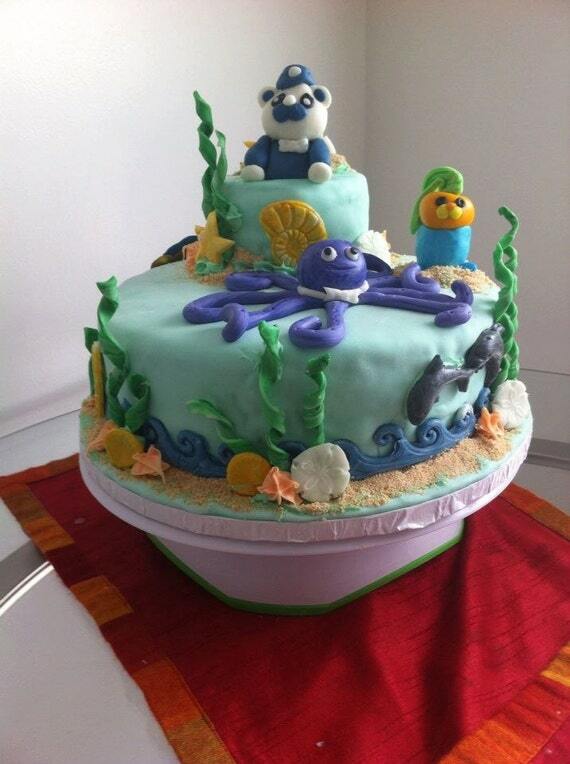 Can be customized to fit your party’s needs. Includes 12 toppers, 2 of each character pictured. 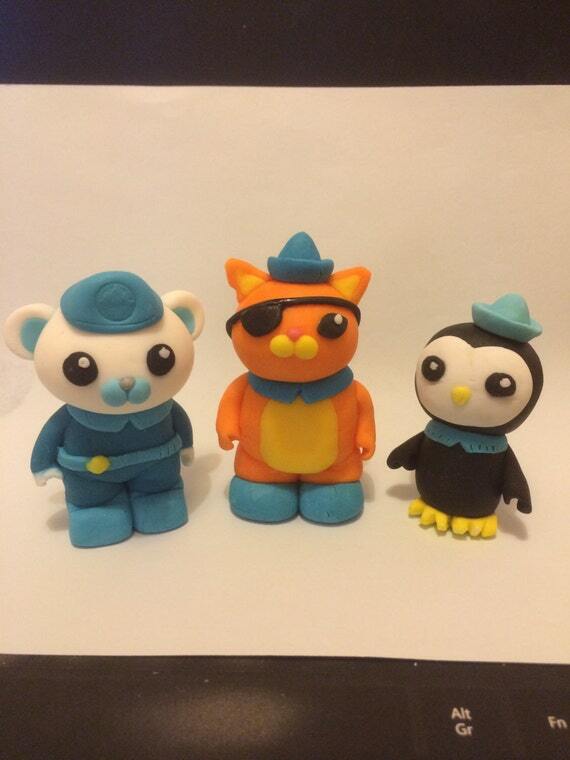 Octonauts Fondant Cake Toppers. This listing is for the six characters shown. Send me a message for special requests! 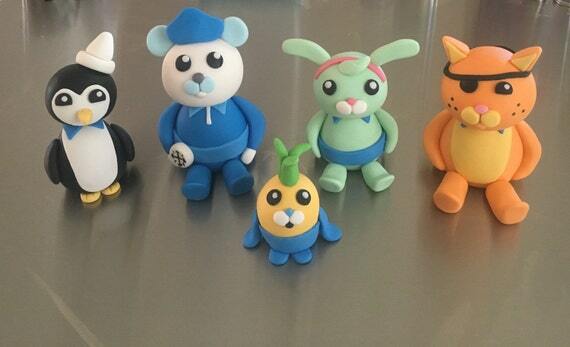 Please note that these are each handmade and may slightly differ from the photos. 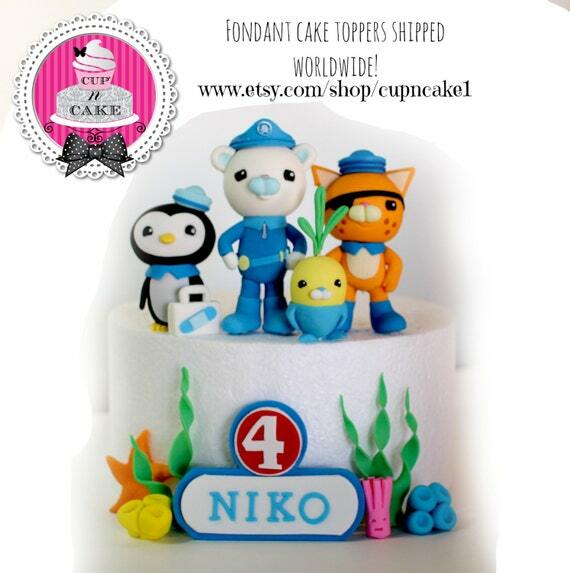 Octonauts inspired fondant cake topper, about 6 inches. You can choose 1 of the characters for the price listed or click on the amount of characters you would to purchase me. Please message me with Characters that you are interested.